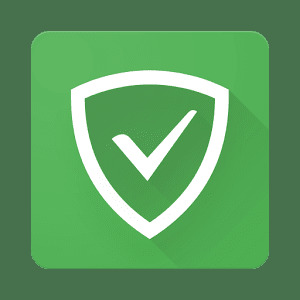 Download Adguard Content Blocker APK v2.0.0 for your Android device. This app is developed and offered by Adguard. Adguard Content Blocker is an Android application that blocks ads in Yandex Browser and Samsung Internet browser only. You don't need to root your device in order to work this app on your device. Adguard works without rooting your device. Also, this app doesn't block ads in any other browser or apps. You can also get SHAREit APK from our website. 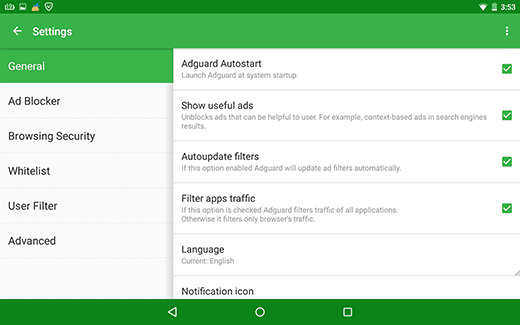 Adguard Content Blocker app protect you from watching annoying ads. Ads consume more data and take more time to load a web page. So, this app not only saves your mobile data but as well protects you from those annoying popup ads that display automatically in the new window. This app also shows you how much data is saved and how many ads are blocked. You can customize the app according to your needs. You can choose from more than 20 language-specific filtering rules. This app is one of the most useful tools in Android market and if you use Yandex Browser, then this app will get the best out of your browsing experience. 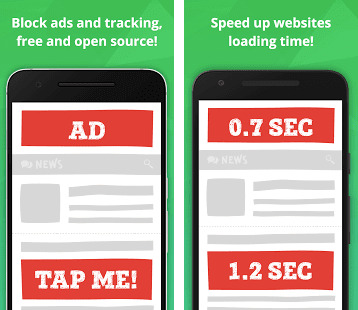 Block all type of ads in mobile browsers that support content blocker technology. A useful tool for better browsing experience. Blocks all types of annoying ads. Blocks full-screen pop up ads in your browser. Great content blocker app for Samsung devices. Click on the below button to start downloading the APK file of Adguard Content Blocker v2.0.0 for your Android device.